Long term chloride concentration from 529 lakes and reservoirs around North America and Europe: 1940-2016. This dataset compiles long term chloride concentration data from 529 freshwater lakes and reservoirs in Europe and North America. All lakes in the dataset had greater than or equal to ten years of data. For each lake the following landscape and climate metrics were calculated: mean annual precipitation, mean monthly air temperatures, road density and impervious surface in 100 to 1500 m buffer zones, sea salt deposition. 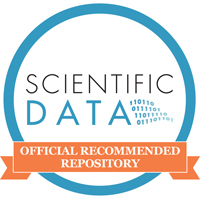 The dataset includes three files: 1) Descriptive data of lake sites (physical lake metrics, climate, land-cover characteristics), 2) Chloride time-series, and 3) GIS shapefiles. Analysis paper derived from this dataset: Dugan HA, Barlett SL, Burke SM, Doubek JP, Krivak-Tetley FE, Skaff NK, Summers JC, Farrell KJ, McCullough IM, Morales-Williams AM, Roberts DC, Ouyang Z, Scordo F, Hanson PC, Weathers KC. 2017. Salting our freshwater lakes. PNAS. 114(17): 4453-4458. Top panel: Three lakes surrounded by urban land cover in Madison, WI show long-term increases in chloride concentrations. Bottom panel: Five lakes in Northern Wisconsin situated in a forested landscape. Only the two lakes bordering a major highway show long-term increases in chloride concentrations. Credit: Hilary Dugan, University of Wisconsin-Madison, Center for Limnology. Data Source: North Temperate Lakes Long Term Ecological Research https://lter.limnology.wisc.edu/.